Could there be a better way to kick off the new year than with the smell of fresh leather in your brand new ride? We think not, so we’ve sussed out the most worthy cars you’ll want to place an order for this year. 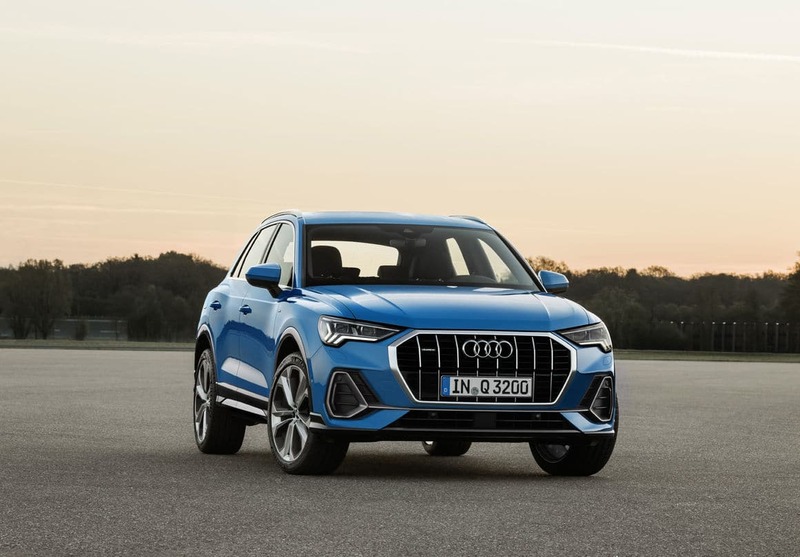 Launched at the Singapore Motorshow 2019, the cars go beyond your usual marques to include new contenders while long-standing favourites from Porsche, Audi and Range Rover are given updates on design and performance. Meanwhile, technology and eco-friendliness continue to be big talking points as more manufacturers dish out initiatives that cater to the tree-huggers. If it’s anything to go by, the local roads in 2019 would be pretty damn good looking. Here are the cars you’ll want to get into this year. Look closely and you’ll recognise that beyond that familiar face, Porsche has actually injected even more racing DNA into its popular compact SUV this year. In continuing its new design code, the new Macan now sees a sportier three-dimensional rear LED light strip with integrated ‘Porsche’ lettering, while wheel sizes now range up to 21-inches, giving the car a more performance-driven purpose. Inside, Porsche ups the ante with a new 11-inch touchscreen (from 7-inch previously) and an optional GT sports steering wheel brings the spirit of the 911 to the SUV. 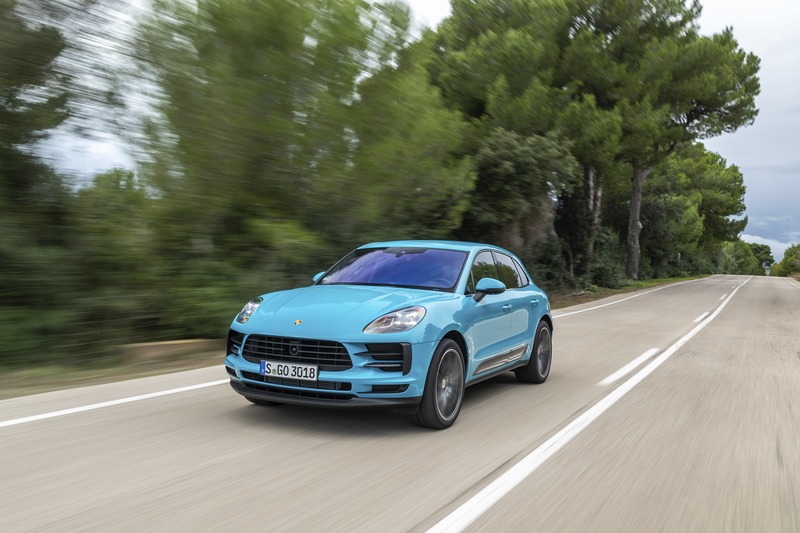 While the Macan Turbo has yet to be revealed, Porsche has let us on the figures for the base model and the Macan S. The former comes with a 2.0-litre, four-cylinder turbocharged petrol engine that’s good for 252hp and a 6.5-second century sprint if you opt for the Sport Chrono Package. Top speed is a respectable 227kph. With the same package, the latter charges to 100kph in just 5.1 seconds and has a top speed of 254kph. 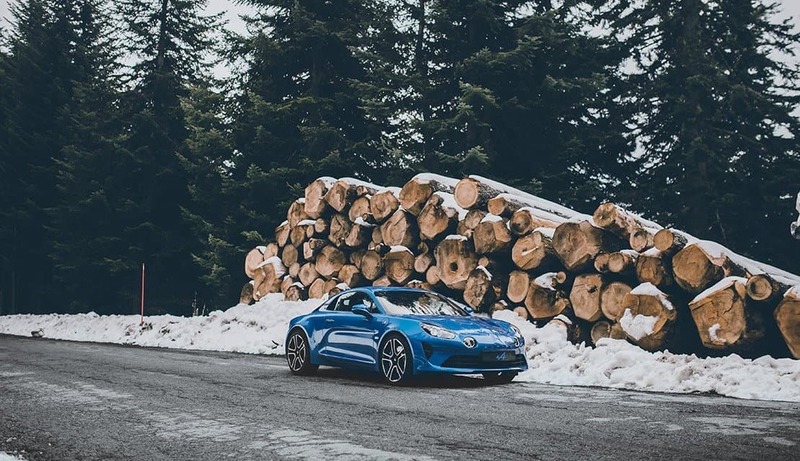 Despite bearing a badge that many haven’t even heard of, Alpine actually has had a history that dates back to 1954, with its iconic A110 Berlinette being heralded as one of its most beautiful models. 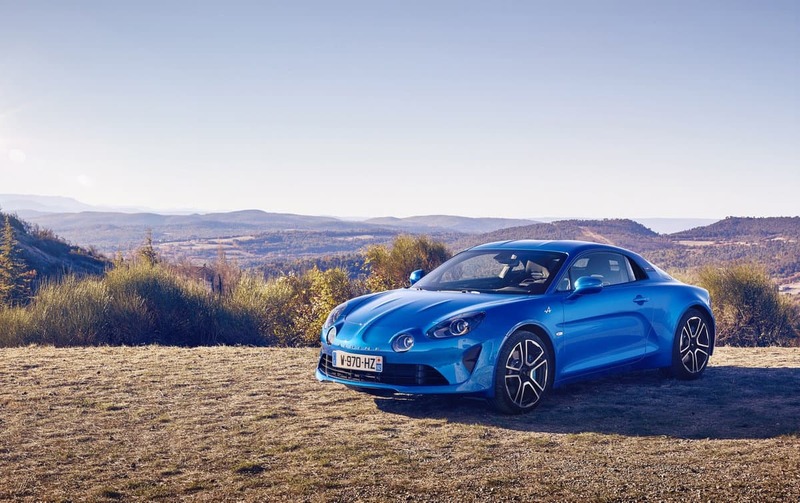 The brand has since been revived in 2012, and last year, the French manufacturer finally released its latest: the Alpine A110. This time, its engineers really focused on the concept of lightness. The A110 tips the scales at a mere 1,080kg, wedging itself directly in between the Lotus Exige and Lotus Evora in terms of weight. Even Porsche’s 718 Cayman, which is supposedly a main competitor of the A110’s, is nearly 300kg heavier. Inside, a new turbocharged 1.8-litre, four-cylinder motor sits in the middle of the vehicle to produce 252hp and 320Nm. Not big numbers for a car that sits in the sports car category, but it’s plenty considering the car’s weight. Standstill to 100kph is achieved in a mere 4.5 seconds. Aesthetically, the new car is meant to evoke signature elements of the classic A110 Berlinette, which it’s achieved while maintaining a sense of modernity. Its shape is uncluttered, with retro details such quad headlights and double-bubble roof that makes it a contemporary stunner. The SUV that changed the market seven years ago is back with an all-new version. Freshly launched in London, the go-anywhere small SUV is still clearly recognisable as the Evoque, except Range Rover has managed to move the design language forward to be even more on par with its award-winning Velar. Technology is prominent throughout the new compact SUV, with systems in place that allow the car to memorise even the smallest details, from who you call most often on your mobile to your preferred massage settings on the seats. The Land Rover app also allows the activation of many of the car’s settings via your phone; there’s even a tracking device in case you’ve managed to lose the Evoque at the carpark. If you do find yourself on tight city streets or a rocky mountain pass, a system called Clearsight Ground View is there to ensure you don’t scuff those fancy wheels. Cameras on the front grill and door mirrors also project an image of the exterior front and beneath the vehicle on the centre cabin screen, which could save you a very expensive trip to the garage. Like the Velar, the cabin also features three digital screens within the cabin. A head-up display will be available for the first time to assist the driver with trips on dark country roads. If you’re transporting some rather tall occupants in the rear or have the boot stacked with goods, then a smart rearview mirror turns into a digital screen at the flick of a switch, showing a video image instead through a rear-mounted camera. In keeping with a more eco-friendly ethos, Land Rover has decided to build 33 percent of the SUV with recycled material. Vegans who don’t want to use leather within the interior can opt for a material made out of eucalyptus. Although it appears to be designed for city driving, the Evoque comes equipped with four-wheel drive. It’s mated to an automatic transmission with additional hybrid technology to help with improving fuel economy (a plug-in hybrid will follow at a later date). 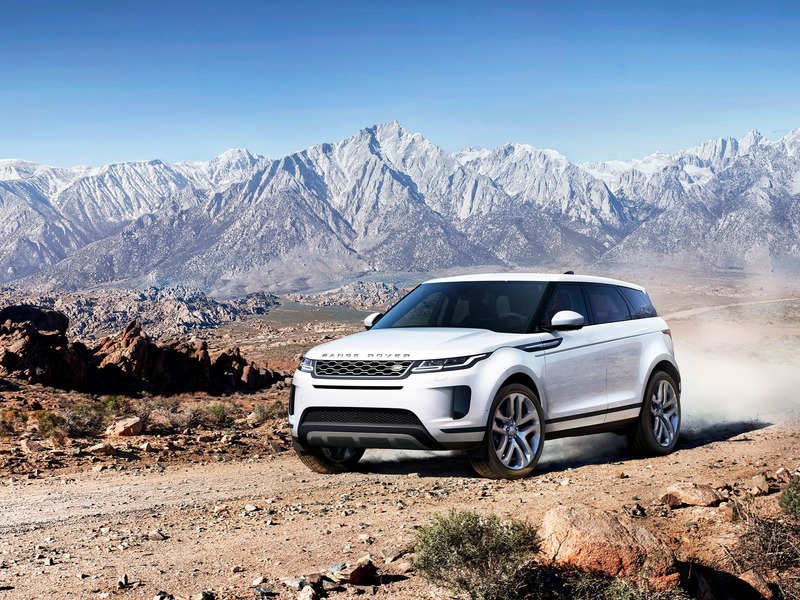 Alongside the Terrain Response system — featuring hill descent control and different terrain setting — the Evoque should be able to keep up with the best of off-roaders in the market now. The new Q3 is a stylish take on Audi’s small SUV. Blending the best features of many of their other models, the Q3 is set to be a strong contender in the market. Here, the two and four-wheel drive options will be mated to a seven-speed automatic transmission, but if you fancy a bit more performance, there’s always the option of the sportier SQ3 variant. All models get LED lights as standard and fancy sweeping rear indicators, with matrix lights being another option for added “futuristic” flair on the roads. Now the Q3 might be regarded as Audi’s little luxury off-roader, but it’s actually big on space. Now that there’s more distance between the front and rear wheels, interior space has grown adequately. The boot — at 500 litres — is larger than many of its competitors, and the rear seats can be folded to make room for more. Even the floor is adjustable. If you plan on doing some off-roading, hill descent control is available (like the Range Rover’s). This can all be accessed via a hi-res 10-inch display, although the geeks should opt for the Audi Virtual Cockpit. Other impressive gadgets on board include state of the art autonomy features that helps the car park itself, move in slow traffic on its own, and navigate motorways with laser guided cruise control.